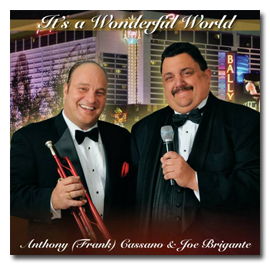 Anthony (Frank) Cassano as "Frank Sinatra" has been tantalizing the ears of Chicagoland for over 25 years. Crowd participation is a must for seasoned veteran Anthony (Frank) Cassano. It's not uncommon to see him stroll through the party singing Sinatra's favorite tune's. Performing at weddings, private parties, corporate events and seniors events. Feel free to contact us to discuss the details of your event. We would love for you to come see us at a live performances and you'll realize first hand that Music For You is the leader in "live" mobile entertainment services. Cost is only $15.00 each.